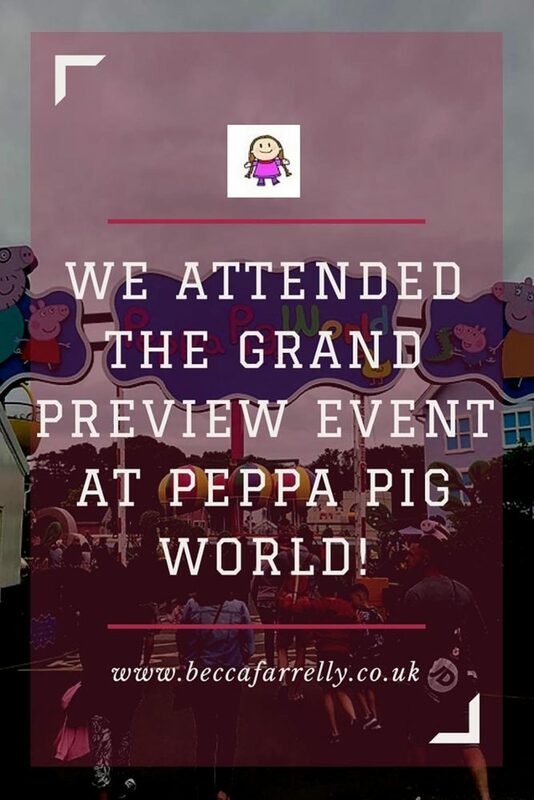 We Attended the Grand Preview Event at Peppa Pig World! 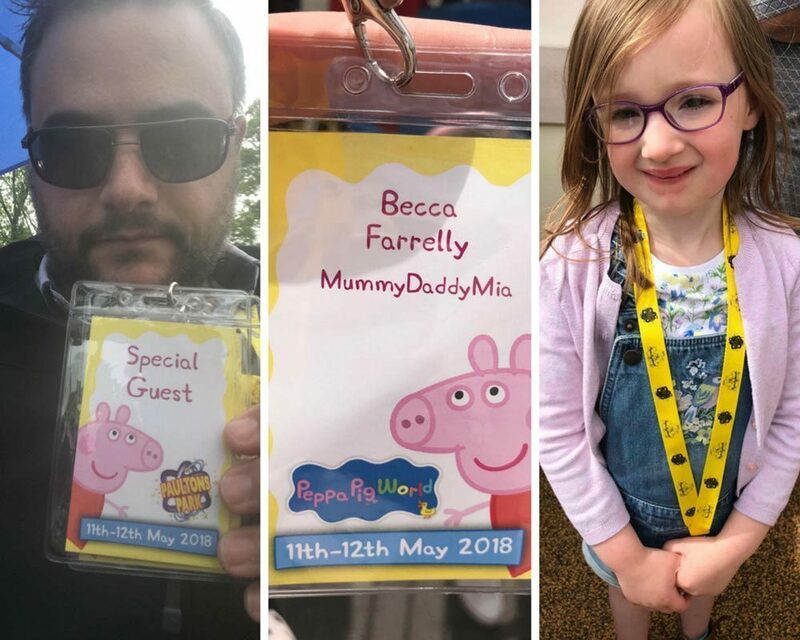 Home » Parenting » We Attended the Grand Preview Event at Peppa Pig World! 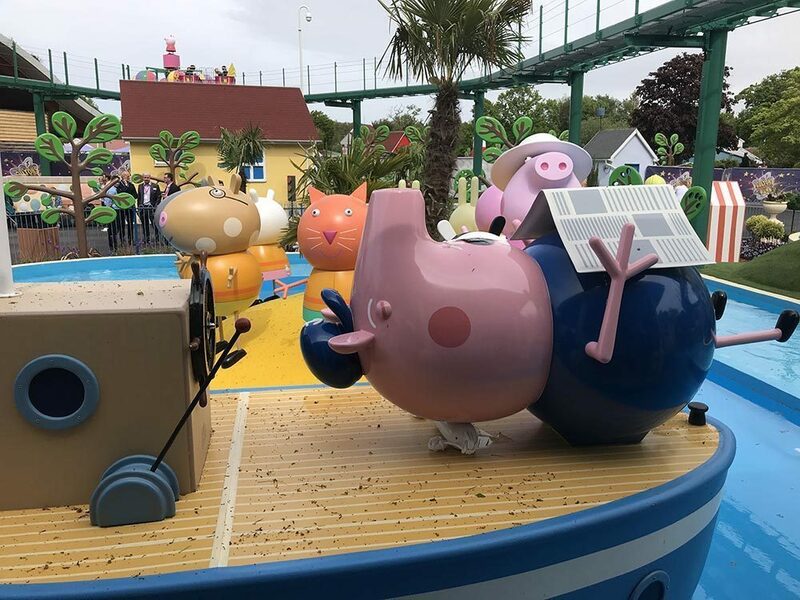 We were so lucky to be asked to attend the Grand Preview Event last week at Peppa Pig World in Paultons Park, Southampton. 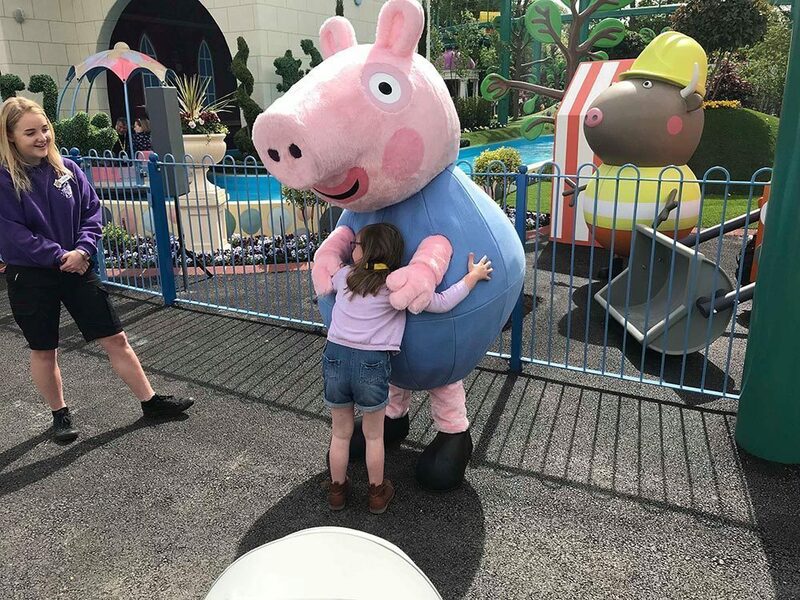 As a huge Peppa Pig fan, we took Mia to Peppa Pig World not long after her 2nd birthday and due to a combination of a very long journey (over 3 hours from our home in Nottingham) and Mia being in a characteristically bad mood, she literally cried the whole day and would only go on 2 rides, which she cried on anyway! 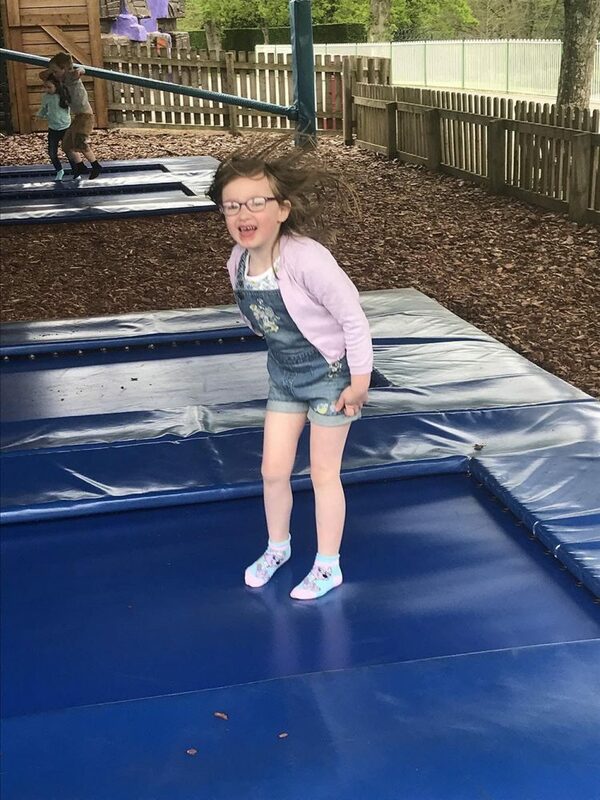 Needless to say, we were really disappointed so when the opportunity came for us to return for another visit last week, nearly 3 years on, Mia was absolutely beside herself with excitement and we were just hoping she would go on something! 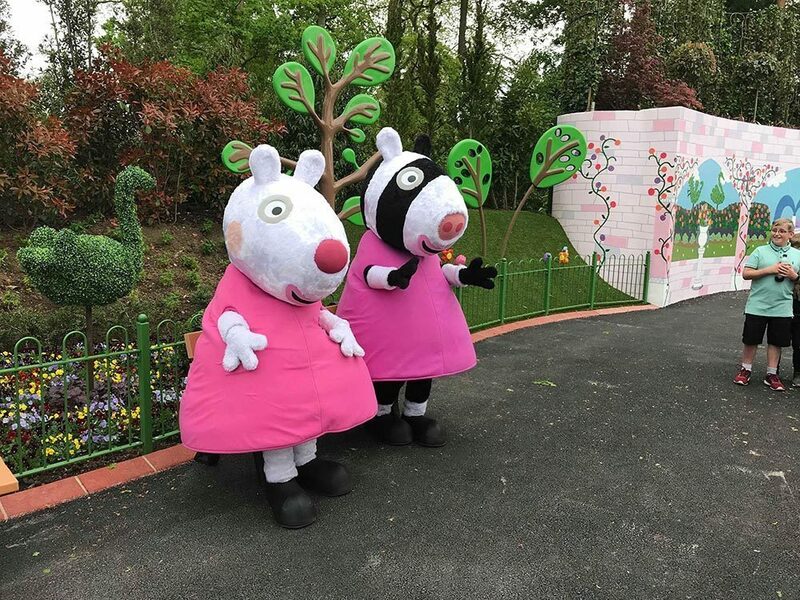 Paultons Park is a family theme park in Southampton with over 70 different rides and attractions. 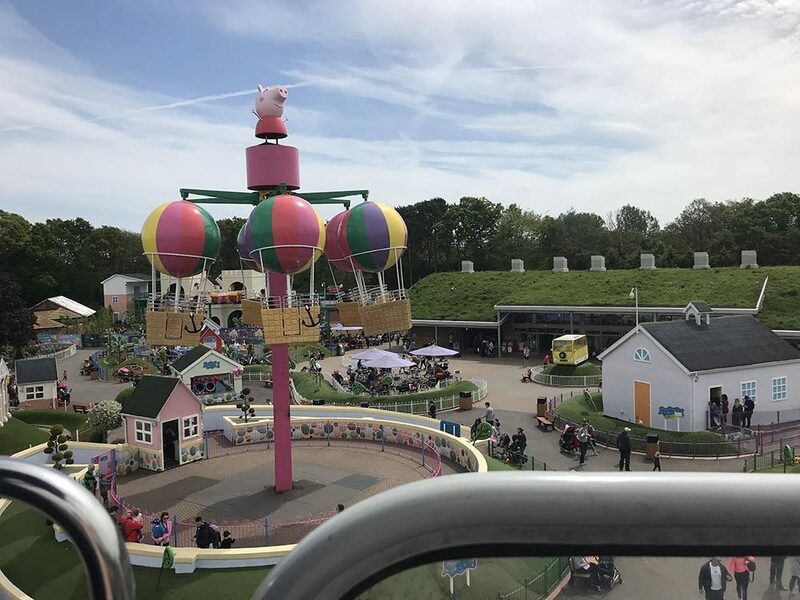 With a fab dinosaur area and even a collection of animals, it is probably most known since 2011 for being the home of Peppa Pig World. 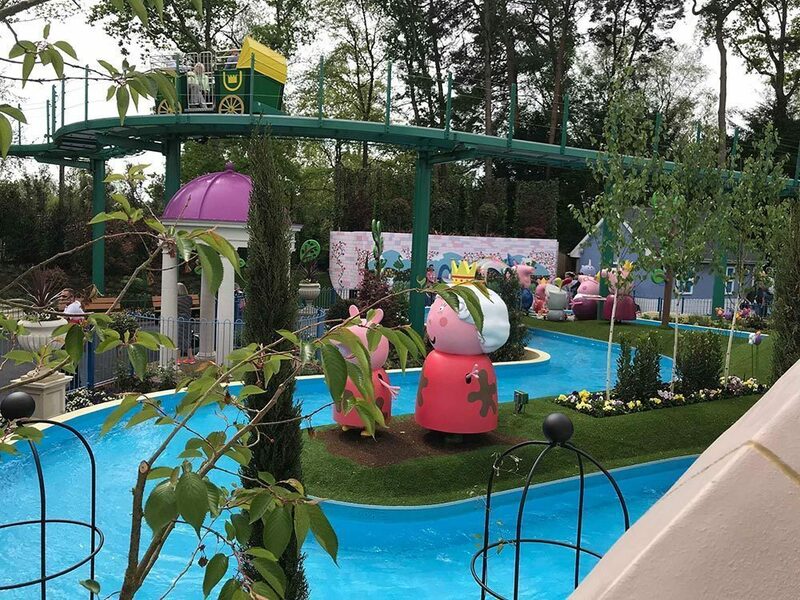 Peppa Pig World itself has 7 Peppa themed rides (Grandpa Pigs Boat Trip and Georges Dinosaur Adventure to name a couple), with 2 brand new rides opening on the 16th May 2018 which incorporate the new characters and scenes from the popular tv shows. This is why we were attending on Friday! We were invited to be part of the launch of these 2 new rides and they did not disappoint! 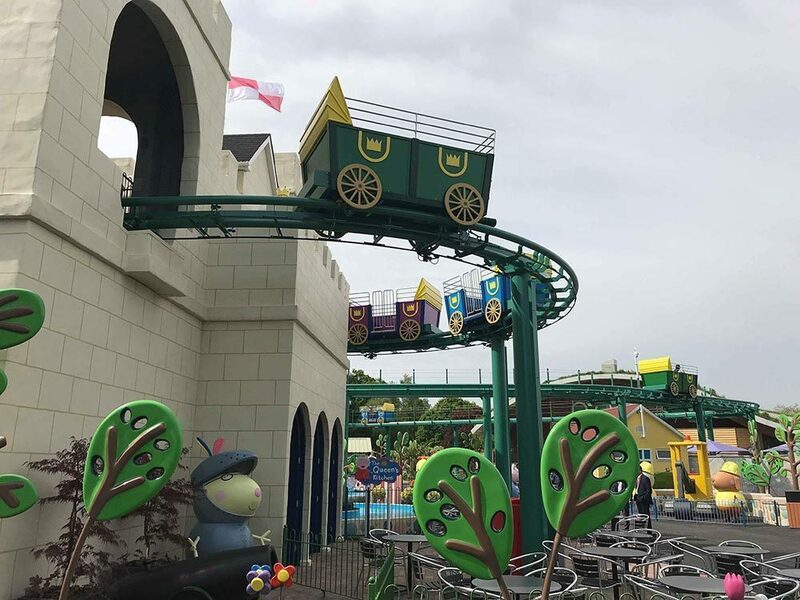 Suitable for children aged 1-6 years; The Queen’s Flying Coach Ride takes you on a treetop monorail ride with views over the newly extended section. 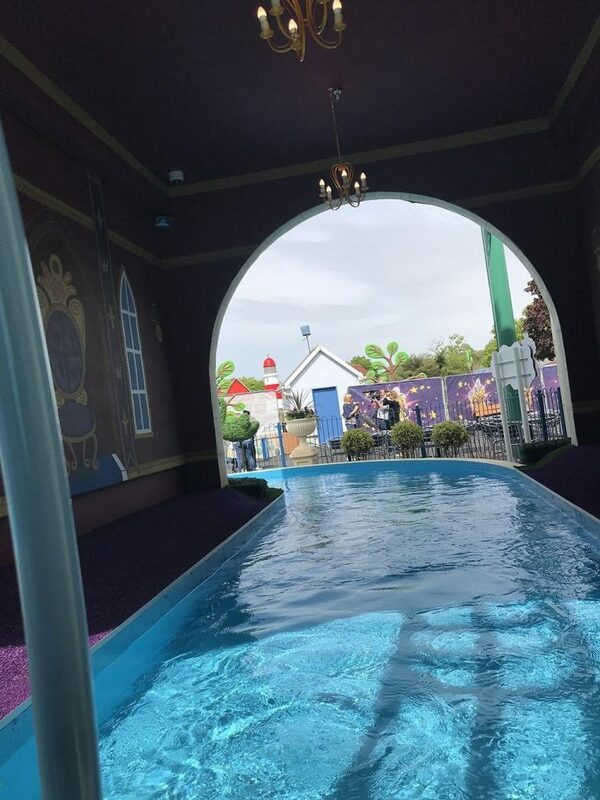 Grampy Rabbit’s Sailing Club is a fab water ride to discover Pirate Island and is filled with bumps and surprises from start to finish including Peppa and the Queen jumping in those famous muddy puddles! 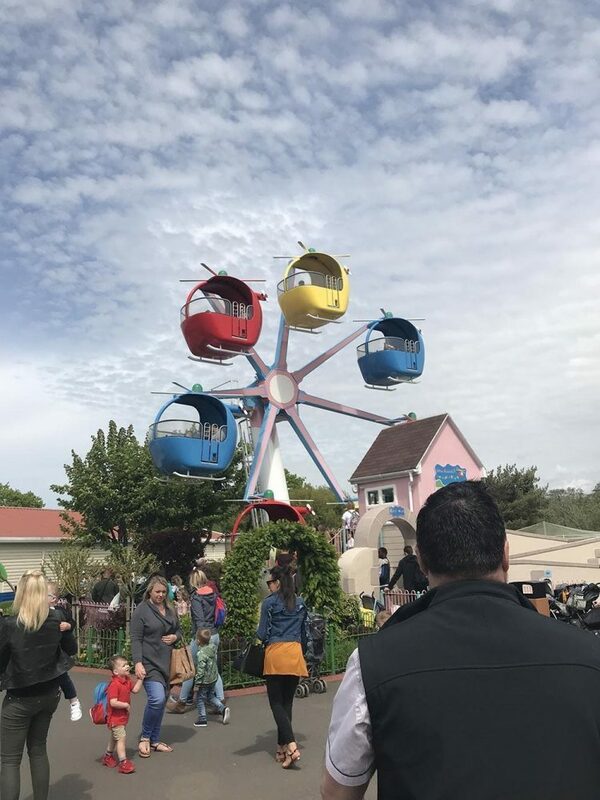 We were very lucky to get free-run of the new area and as many goes on the new rides as we wanted. 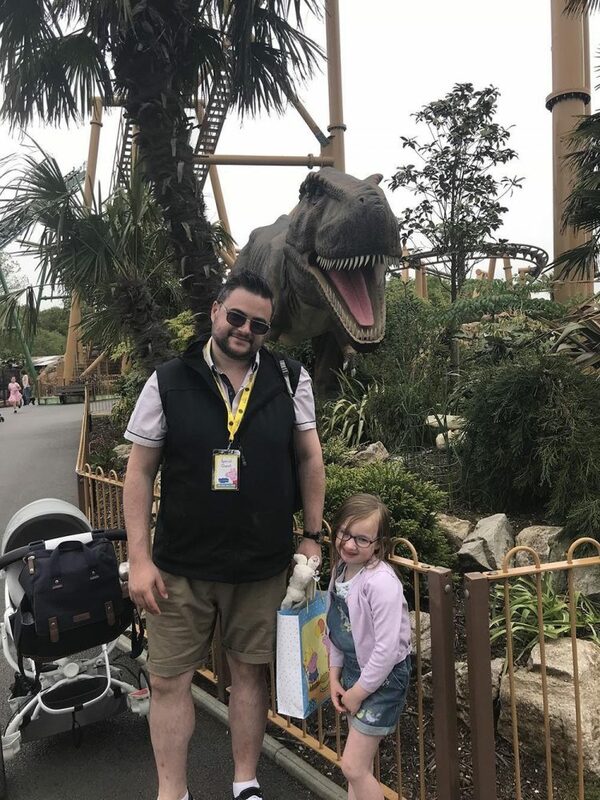 With no queues and lots of new things to see, Mia went on the rides 3 times each and certainly enjoyed the experience! 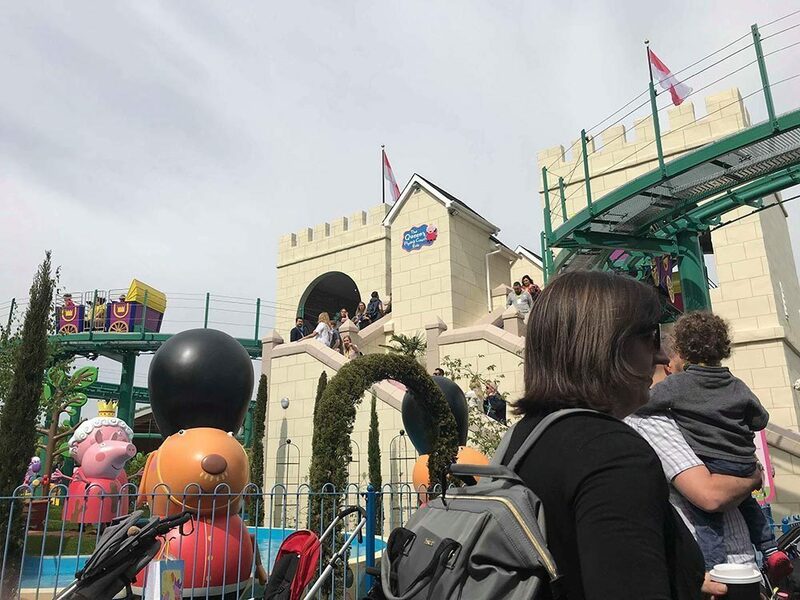 The centre point of the new section is the Queen’s castle which is a whopping 10 meters tall and it is definitely not to be missed! 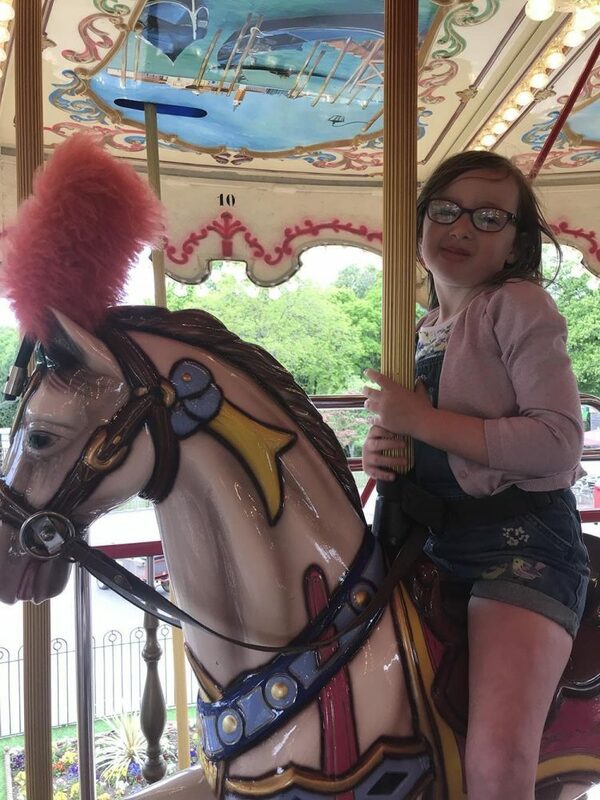 As well as the 2 new rides, Mia was able to meet Peppa, George, Mummy and Daddy Pig as well as Zoe Zebra and Suzy Sheep who made appearances throughout the day and even had a go on Grampy Rabbit’s Sailing Club ride! 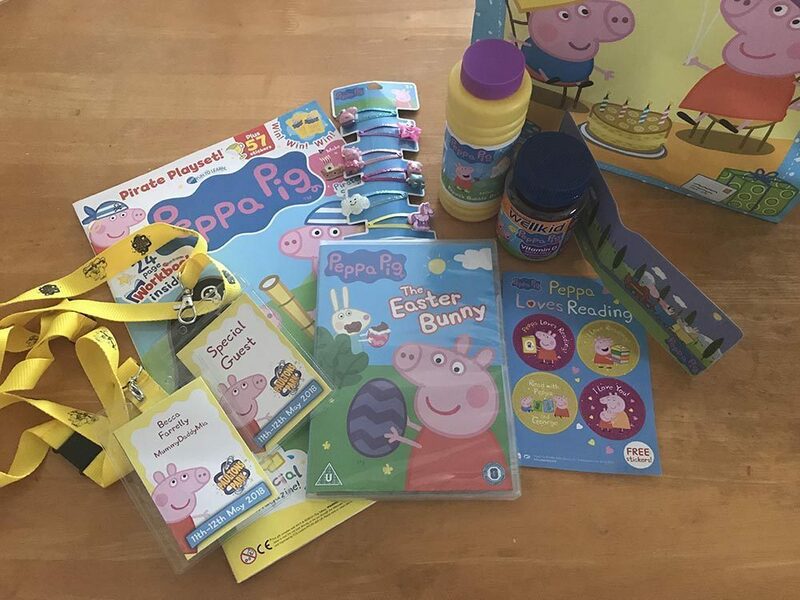 She was also given a fab goody bag full of Peppa Pig goodies, so she was absolutely spoilt! 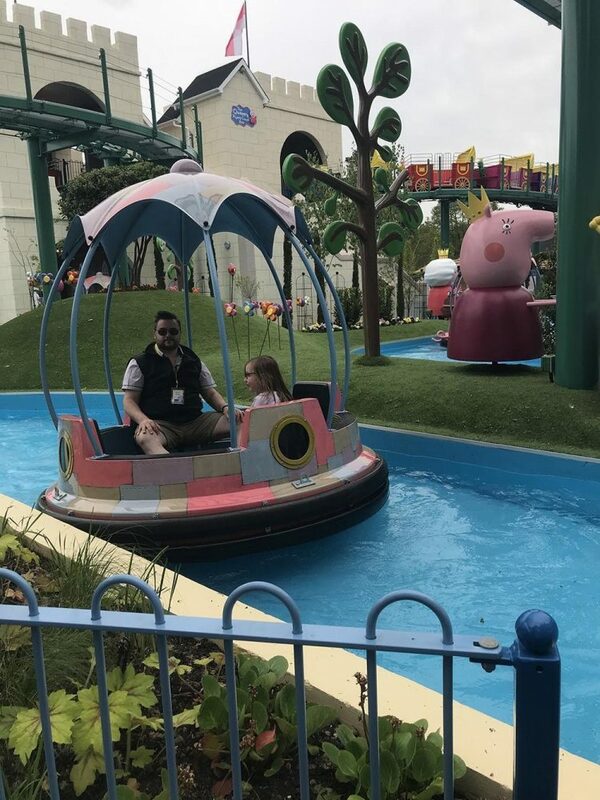 We spent the rest of the day exploring the other Peppa Pig World rides (actually going on them this time!) and the whole of Paultons Park. Mia went on her first roller-coaster! 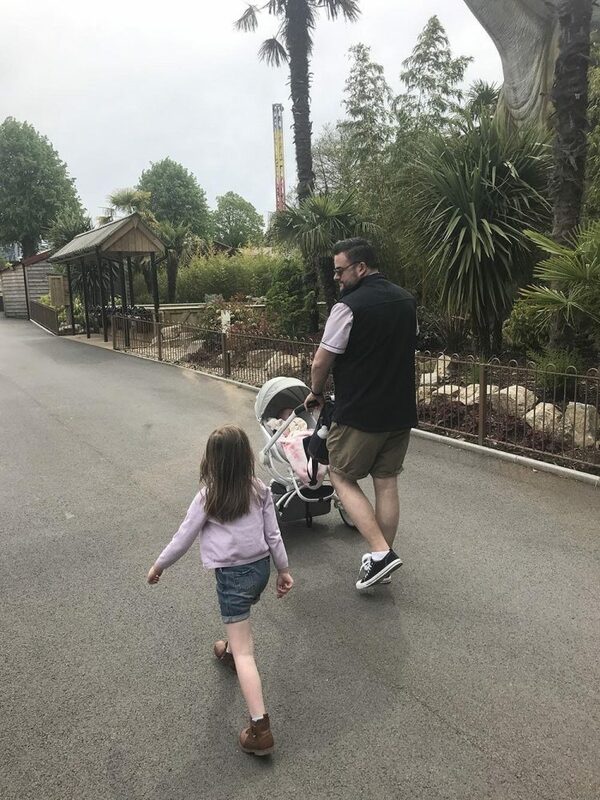 It was our 1st time seeing the rest of the park and we were pleasantly surprised by how much there was to do and due to it being a week day, it was so quite that we didn’t have to queue for anything! 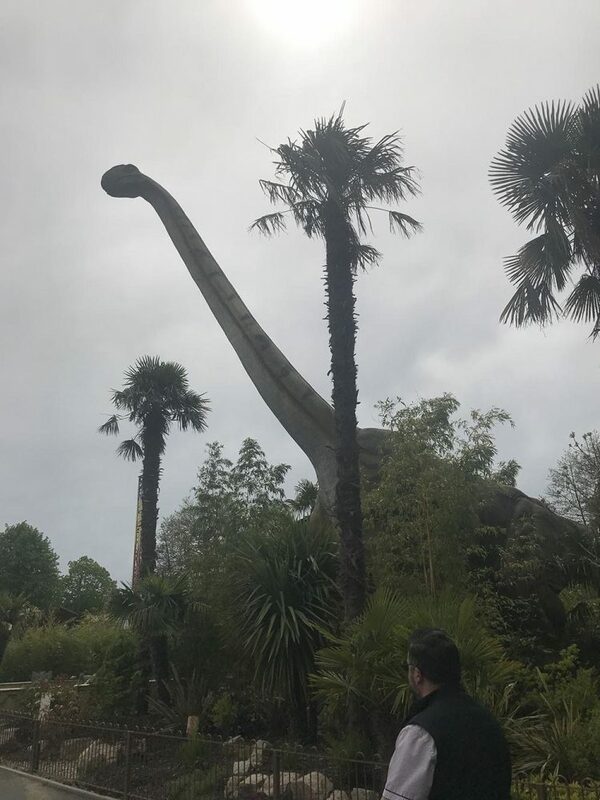 We explored the Lost Kingdom with all of the dinosaurs in and Mia persuaded me to go on a very fast dragon ride! I’m not sure who was more scared although Mia found it hilarious! 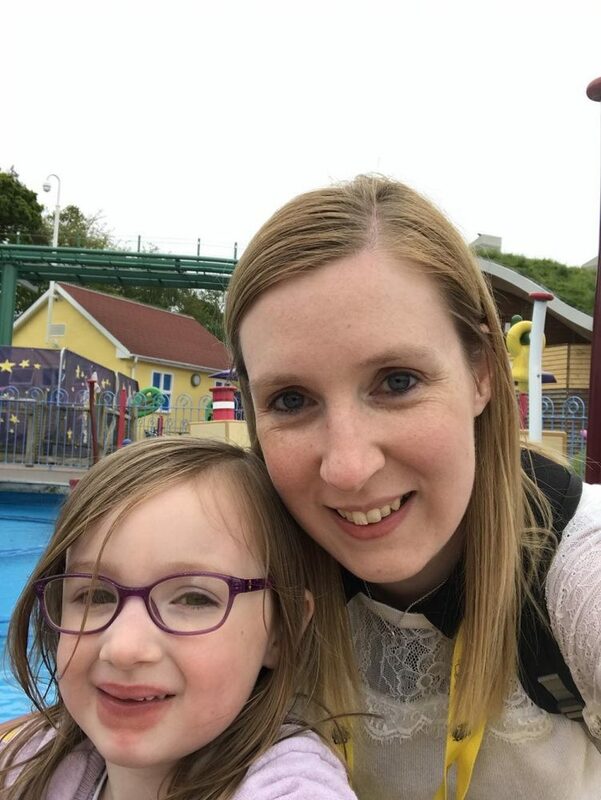 Finally, we went to the play area, so we could grab some food and a sit down while Mia carried on tearing around the place in excitement! 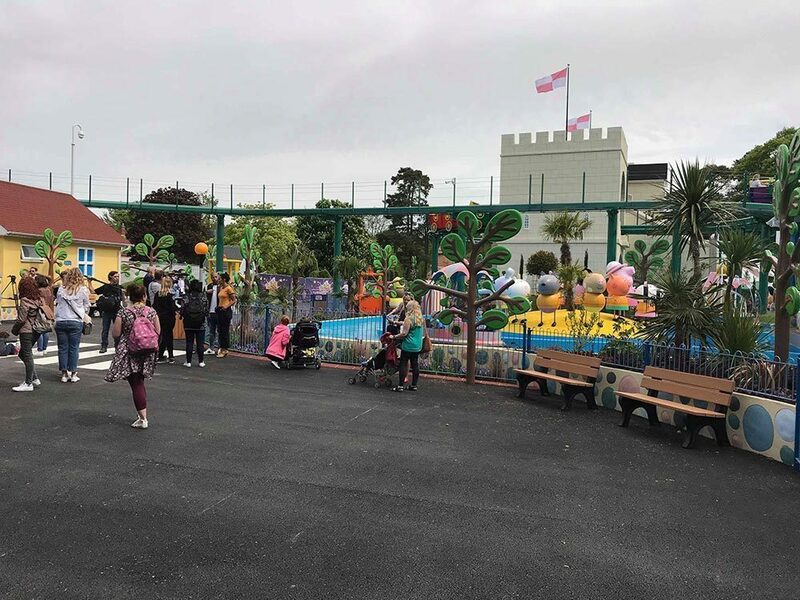 We were all really impressed with the whole park and with the new area. 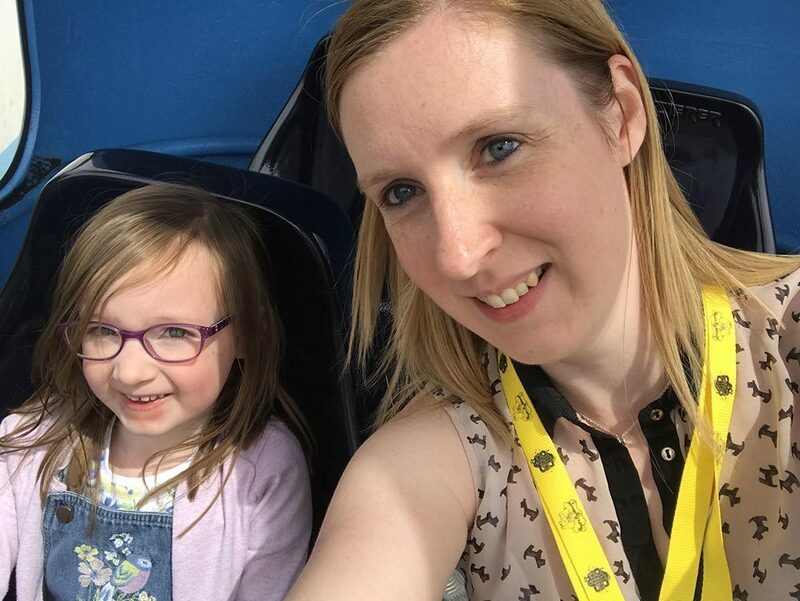 There’s so much to see and the more we went on the rides, the more we saw, it was great to get the chance to be one of the first people on the new rides! 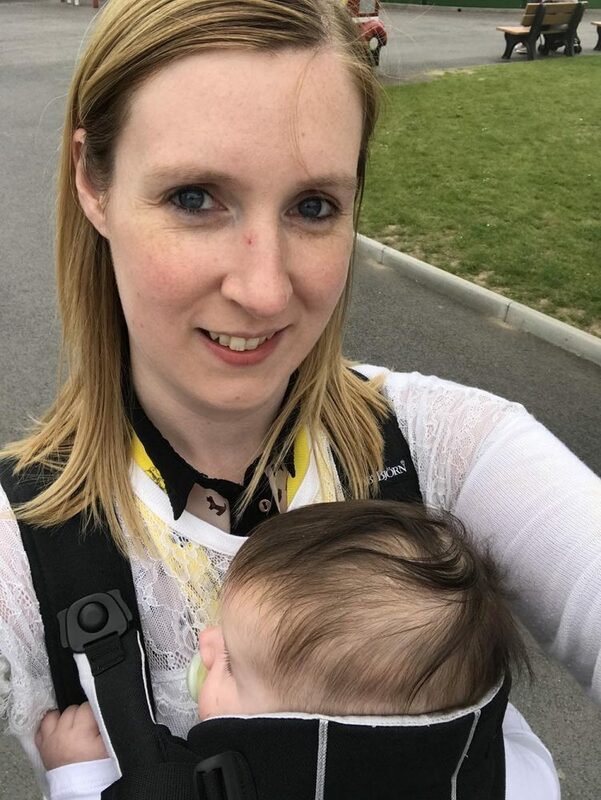 We were also really impressed with the facilities available, plenty of eateries and toilets so with young children you’re not needing to get maps out and start working out your quickest route to the bathroom! 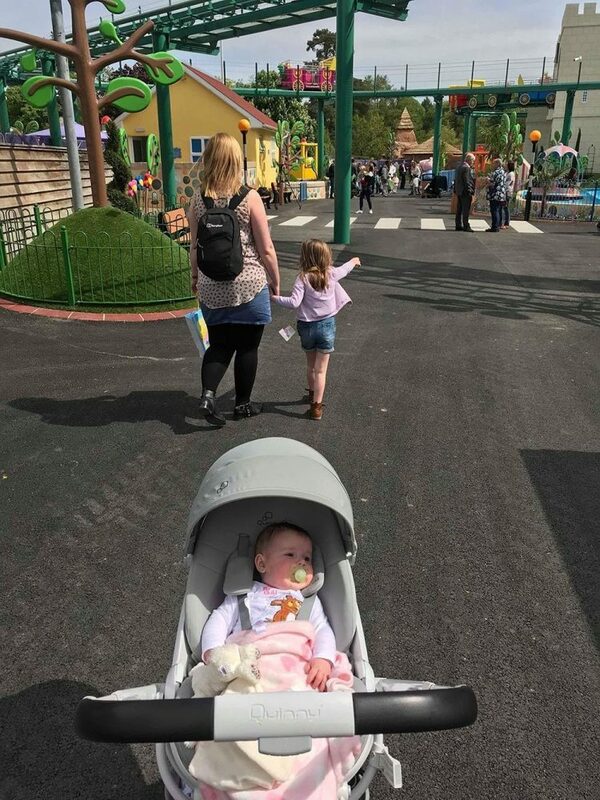 I would thoroughly recommend a trip to Paultons Park and Peppa Pig World and when Lottie is old enough to go on some rides, we will definitely be making the trip there again. 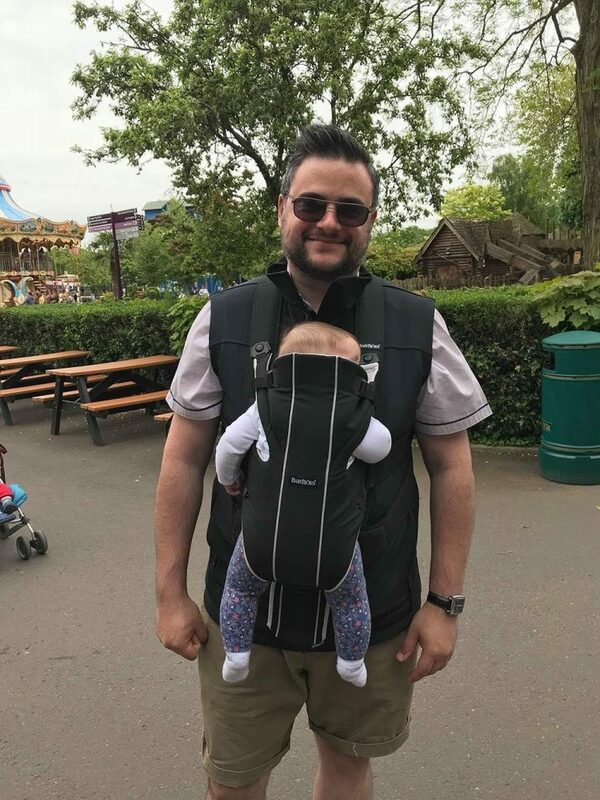 It was our 1st mini-trip as a family of 4 and it was amazing fun, one we will remember for a while to come! Disclaimer: we were given park tickets and a goody bag in exchange for this post however all opinions and views are honest and our own.